The Society of St. Vincent de Paul is a Catholic outreach organization of St. Francis Xavier and St. Therese Catholic Churches. We are an equal opportunity provider whose primary mission is to provide fresh food and financial assistance to needy families. SVDP is located at 2073 Lafayette Street in downtown Fort Myers at the intersection of Lafayette Street and Grand Avenue. Our Food Pantry is open on every Friday from 9:00 a.m. until 11:00 a.m. Clients should park in the grass field east of Grand Avenue. Each client will be given a number to identify their place in the food pantry line. Handicap service begins at 10:00 a.m. This is a convenience and safety policy as food truck delivery and unloading takes place earlier in the day. Handicap clients receive the same food as everyone else. They are served outside the front of the pantry and are issued a special handicap food card. Our office is open every Thursday from 9:00 a.m. to 11:00 a.m. for financial assistance. Clients must complete the Client Record Form and provide supporting documents to go through a screening process. Eligible clients must reside within the St. Francis Xavier Parish boundary, west of Ortiz and north of Carrell or within the St. Therese Parish boundary in North Fort Myers. Clients do not have to be members of the parishes. SVDP expects to handle up to 35 interview screenings each Thursday morning. Screenings are on a first come, first serve basis. We do not provide, deposit, rent, mortgage and out of state transportation assistance. But you will keep your gentleness and your smile. This the rich can do. Always smiling and always good humored. The poor are your masters you will see. The more you must give them. 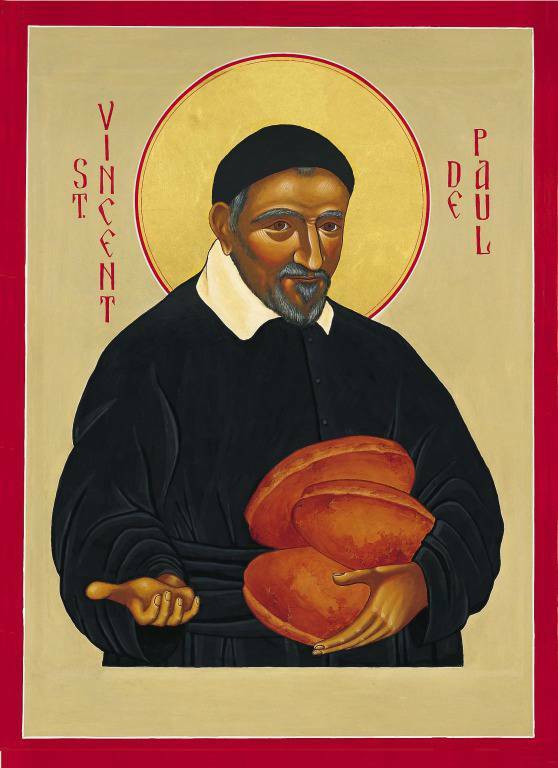 The bread that you give them.